Mythic Maiden is a five reeled video slot that is developed and powered by one of the biggest names in the industry, Net Entertainment. The game gives players the ability to enjoy an exotic and a highly rewarding journey as they enter a haunted house that is filled with ghosts as well as great rewards. The game has 5 reels and a total of 30 winning lines that players can place their wanted wagers on. The bets can be placed under the reels as players go through the different betting options that the game holds. 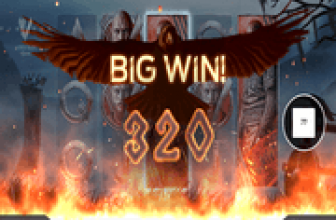 These options include the number of lines as players can choose to activate any number of the 30 bet lines that the game has. 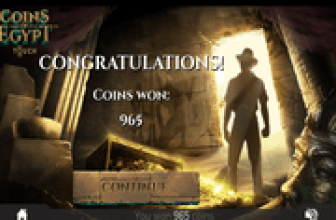 There is also the coin value that players can pick as well as the number of coins on each line. All of this will help players determine the final wager that they want to place on each spin. After the bets are placed, players can start spinning the reels of the game so the symbols can begin forming combos on the lines of the game so they can start their journey and begin claiming the great rewards that the game has. The line pays that players can earn can all be viewed at the paytable of the game that players can open as they click on the Pay table button. Players can earn a line payout that can amount up to 2000 coins which is given to players that manage to get 5x zombie head icons on the same payline. Besides the greatly rewarding line pays that the slot machine has, there are symbols that have special features that can give great pays or help players in earning line rewards. The first of these special symbols is the wild skull moon icon. This symbol can replace any of the other icons on the reels of the game in order to help players create a winning combo to get paid. All wins created with the help of the wild symbol are tripled. The game also has a scatter icon which is represented by the scatter mysterious light symbol. Players will earn scattered pays when they get at least 2 scatters. 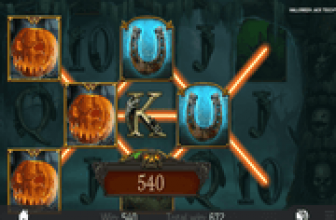 Also, 3 scatters will be able to activate the high paying free spins round. They can earn up to 30 free spins. During the free spins round, the iron maiden can be opened in order to reveal a multiplier that can amount up to 10x, or an additional number of free spins for the lucky players.